NOW WITH SEAMLESS DESIGN! 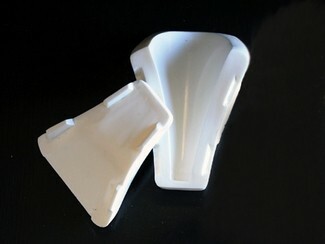 Makes perfectly molded heels for gum paste or clay shoes and sandals measuring 6 1/2" L. Makes approx. 2 3/4" high heels.